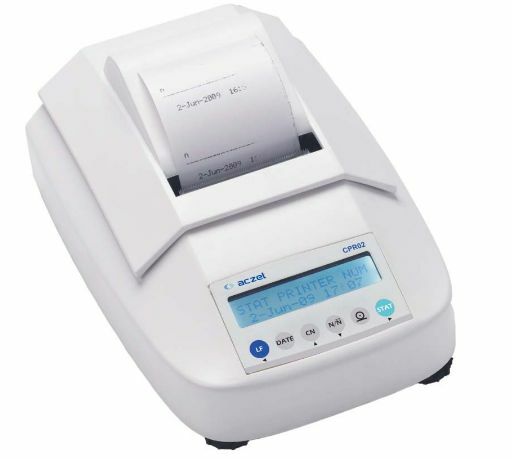 ACZET STATISTICAL PRINTER is Idle for routine laboratory application with following features. GLP / GMP : ISO/GLP compliant recording capability for printouts. Good Laboratory Practice Password - protected menu lock. We have the parameter pertaining to the ambient weighing conditions printed before (GLP header) and after (GLP footer) the values of a weighing series. These parameters include. Identification number of the current sampling operation. ID designations are configured as follows setup : Printout : Identification codes. ISO/GLP compliant recording capability for printouts.